The evolution to multicellular animal life was a product of a biological phenomenon that happened 600 million years ago. A study published in the open-access journal eLife provided a detailed scenario on how a single-cell eukaryotic organism eventually evolved into a multicellular organism. Life as we know it might be different if not for one mutation that helped spark the evolution to multicellular animal life. That mutation brought forth a new protein function that enabled a unicellular organism to transition into an organised multicellular organism. Single-celled organisms inhabited Earth for billions of years. The evolution to multicellular organism resulted from the emergence of cells with the capacity to specialise and arrange themselves into tissues and organs. 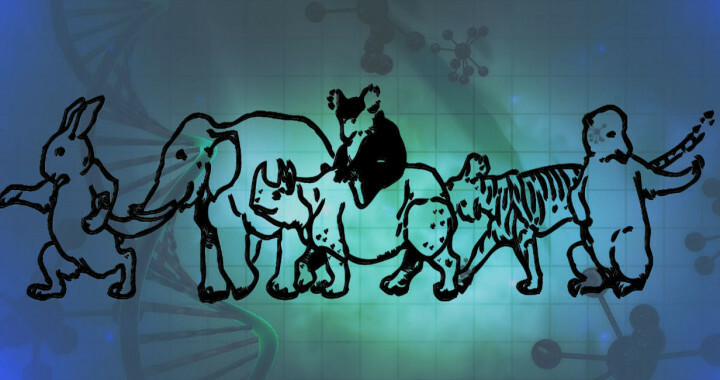 The lineage that led to the rise of animal life also followed this evolutionary direction although the underlying molecular mechanisms remained largely unknown. Mutations are at the heart of evolution. They occur in DNA during cellular division. Most mutations are fatal to the organism. In some cases however, they proved to be beneficial. Some mutations resulted in the introduction of novel cellular mechanism from new protein functions and genetic changes that gradually led to the emergence of novel species. Researchers tried pinpointing the mutations that led to the evolution to multicellular animal life. They did so by studying a group of microscopic sponge-like creatures called choanoflagellates—sea-dwelling creatures that have a tail or flagellum use for swimming around—using a technique called ancestral protein reconstruction. Their goal was to trace the genetic changes that prompted single-celled organisms to evolve a protein that is critical to multicellular animal life. The employed technique involved using gene sequencing and computational methods to move backward in the evolutionary tree and allow researchers to identify molecular changes and surmise how proteins functioned in the deep past. This essentially allowed them to reconstruct the genomes of long-extinct creatures based on the DNA of their descendants. Choanoflagellates were the perfect subject for several reasons. Apart from the fact that they are the closest unicellular relatives of animals, they can live on their own or in large colonies. When grouped together, the coordinated choanoflagellates best exemplify individual cells coming together to work as one unit similar to the tissues and organs of multicellular organisms. Ancestral protein reconstruction nonetheless took the researchers back to 600 million years. This was a period when unicellular organisms swam through vast shallow that covered what are now continents. The researchers began looking into genes that might be responsible for allowing choanoflagellates to work together. They expected to identify several genes. To their surprise, they identified one single mutation. The mutation in the gene that originally encoded the tail or flagella of the unicellular organism resulted in the repurposing of a certain type of a scaffolding protein. Take note that this ancient scaffolding protein was actually an enzyme. The introduction of a single amino acid however repurposed this protein to develop a spindle-orienting capability. Researchers found that this protein uses the same part of its surface to bind to the spindle-orienting molecular marker as the ancient enzyme used to bind to its target substrate molecule, and the two partner molecules happen to share certain key chemical properties. In other words, the protein allowed the organism to align itself with other similar organism to form a colony. Instead of working as enzymes that facilitated internal interactions within the unicellular organism, the protein became a domain for external interaction—allowing it to communicate with and bind to other proteins of similar unicellular organism. A version of this mutation now exists in all animals according to the researchers. It is possible that this mutation was one of the important factors that led to the evolution to multicellular animal life, particularly the emergence of animal life. The researchers noted that cells need to coordinate how they divide relative to the position of their neighbours to form and maintain organised tissues. One important aspect of this process is the orientation of the mitotic spindle—a structure found inside the dividing cells responsible for distributing chromosomes. The molecular complex scaffolded by the GK protein-interaction domain mediates this spindle orientation in diverse animal taxa by linking microtubule motor proteins to a marker protein on the cell cortex localized by external cues. In other words. A scaffolding protein links the spindle to “marker” proteins found on the edge of the cells. This is similar to the process used by choanoflagellates and their unicellular ancestor to form colonies. Of course, the researchers reminded that the random mutation that transpired 600 million years ago was not solely responsible for the evolution to multicellular animal life. They also added that the GK protein-interaction complex is not the sole driver of spindle orientation in all animals and cell types. The evolution of the GK protein-interaction complex does not explain all instances of spindle orientation in all animals. Further details of the study are in the article “Evolution of an ancient protein function involved in organised multicellularity in animals” published in January 2016 in the journal eLife. The National Institutes of Health supported the research through grants.